With just two months to go for the Winter Olympics, RIR gives you a rundown on who and what to look out for at the most expensive Olympiad in history. For many athletes, the Olympics don’t start in February, they’ve been going on for months already, even years. In some sports, making the national team is half the battle, whether that’s down to coaches’ selections, as in hockey - I wouldn’t fancy picking a Canada or Russia roster from the NHL’s stars - or the merciless points tables of a ski World Cup series. By far the toughest battles come in figure skating, though, where there is a maximum of three places per country in each discipline - causing problems for countries like Japan who have many skaters among the world’s elite. That arbitrary cutoff turns otherwise routine national championships into thrilling, fratricidal battles where Olympics dreams die before the Sochi events even start. In Russia, there is just one available men’s skating slot, and veteran Evgeni Plushenko, the Olympic gold medalist at the 2006 Turin Games, must beat up-and-comer Maxim Kovtun. As Sochi comes closer, even small-scale competitions pack real venom. The blonde bombshell of the pistes is arguably winter sports’ biggest name. Hailing from Minnesota, the 29-year-old reigning Olympic downhill champion is a rarity at Sochi 2014 - the crossover star who has become a mainstream name. Part of Vonn’s popularity comes from being in sports’ No. 1 power couple thanks to her relationship with Tiger Woods, but most of it is the result of hard graft in the fastest, most dangerous discipline on the slopes, as well as the engaging personality that lights up TV talk shows. The only problem is that Vonn has an Achilles heel - or rather an anterior cruciate ligament, the thin band of tissue in the knee that allows you to pivot. It’s crucial for everyone, especially elite skiers, but Vonn has only a sliver of ACL left in her right knee after numerous injuries, and had to miss her first World Cup event of the season in Colorado. Can she get to Sochi, and will she be on form when she gets there? Among the other big names battling injuries is Canadian hockey star Steve Stamkos, whose right leg was broken in a brutal hit while playing for the Tampa Bay Lightning against the Boston Bruins a month ago. He’s already walking without crutches, but in a sport where speed and agility are crucial, it’s not yet clear whether he’ll have that crucial edge at the Olympics. One confirmed casualty is reigning Olympic figure skating champion Evan Lysacek, who said Tuesday he hasn’t been able to recover from a hip injury. "Words cannot describe how disappointed I am to not be able to compete in Sochi," Lysacek said. How many more times will we hear that from a star name ahead of the Games? It’s the shadow stalking sports at all times: the use of performance enhancing drugs to gain an unfair advantage over the opposition. No Winter Olympics since 1998 has passed without at least one athlete being caught with an unnatural edge, and the nadir came in 2002, when the winners of six cross-country skiing gold medals were found to be dirty. There was a timely reminder of the dangers Monday when 18-year-old Anna Orlovskaya of Russia was banned for two years for breaking anti-doping rules. While not an Olympic medal contender, she is a national champion for the host nation in slopestyle and ski halfpipe, two sports making their debut in Sochi, and could easily have been on the host nation’s team if her drug use had not been discovered. There’s one extra detail this year, though. The drug test laboratory in Moscow, one of just 32 around the world considered capable of handling top sports events, may lose the accreditation it needs to test the Sochi samples. The World Anti-Doping Agency has criticized its “compliance” and set a strict timetable for reforms. The pressure seems to have eased for the moment, but if the lab doesn’t shape up, all the Sochi samples flown abroad for testing - in itself a potential contamination risk. There are plenty of risks ahead of the Games, and they feed the competitive tension the Games thrives upon. The one thing that’s really guaranteed to build anticipation, however, is seeing the host city come together. The vast scale of the project is impressive in itself, even more so is how quickly Sochi and its surrounding area have changed. All the big infrastructure projects - carving road and rail links out of hillsides - have been completed, with the exception of the somewhat-delayed Fisht Olympic Stadium for the opening and closing ceremonies. At the moment, Sochi resembles a giant landscape gardening project, as workers rush to lay turf and plant chalets that have sprung up in the mountains. 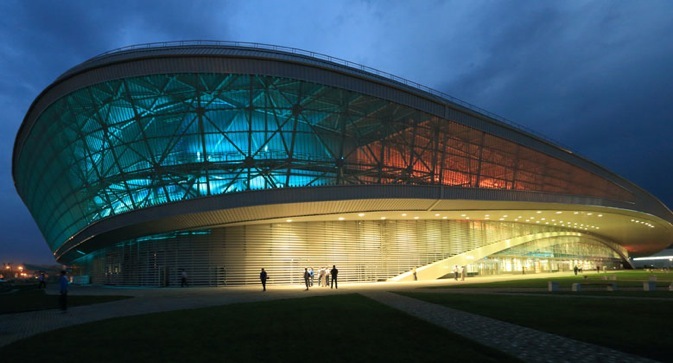 After six years, $50 billion and plenty of twists and turns, Sochi 2014 is happening. Watch this space.